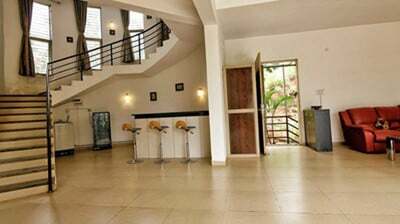 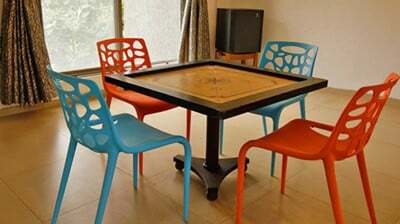 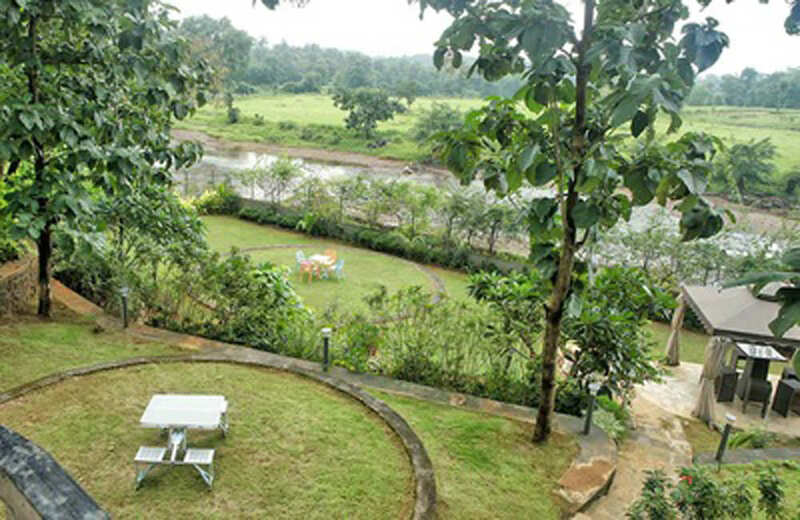 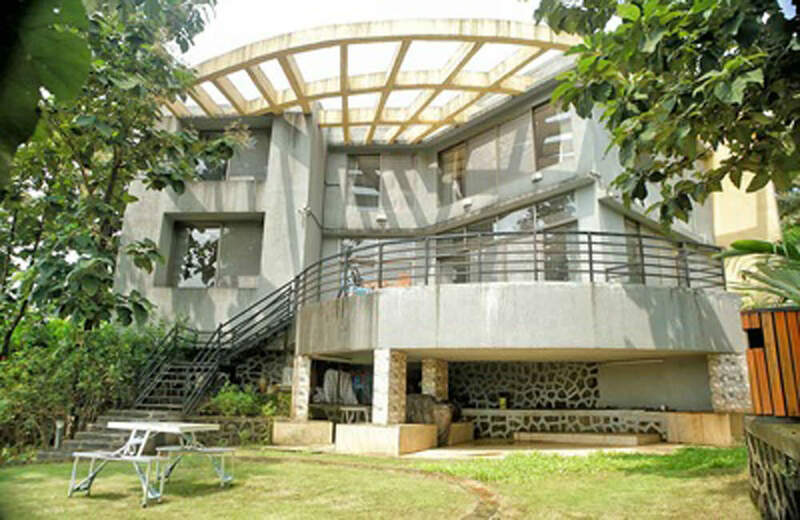 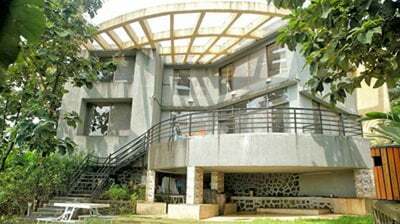 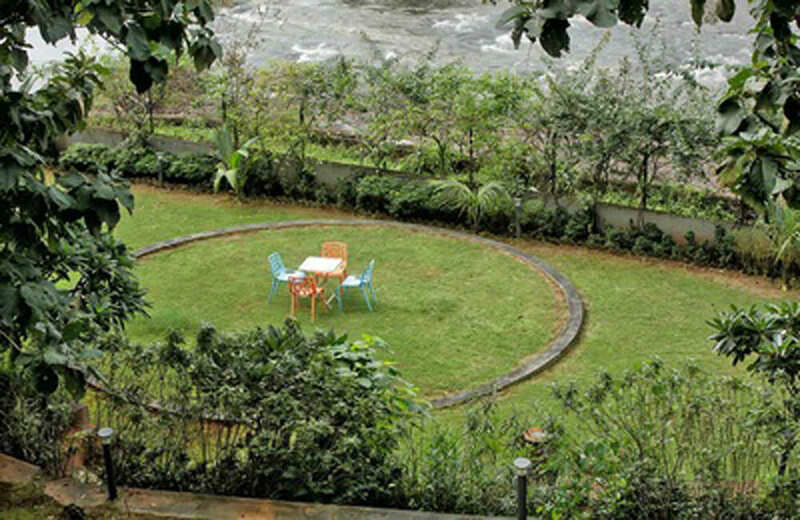 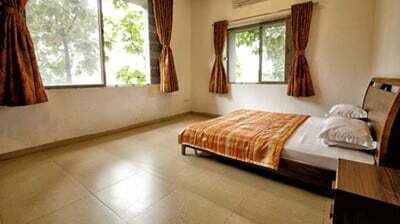 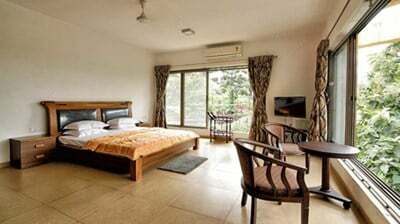 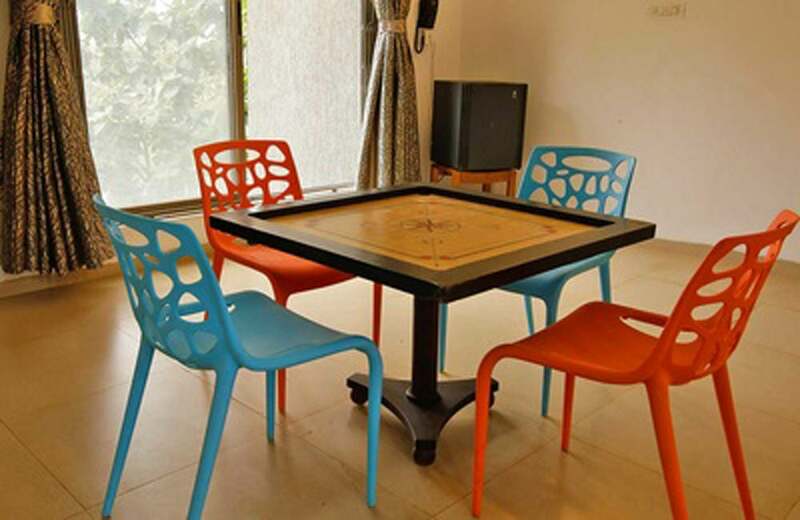 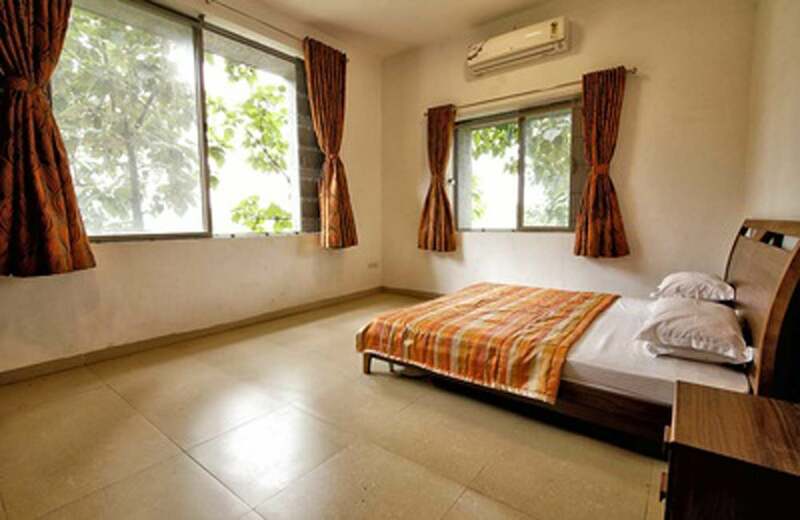 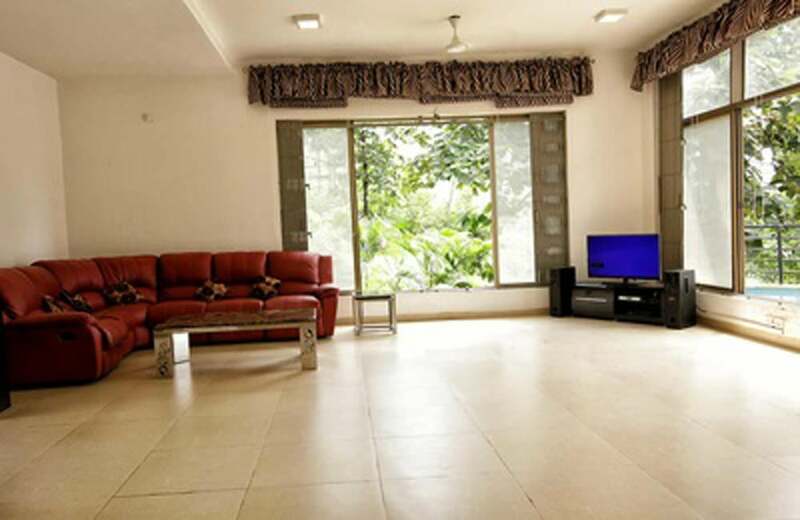 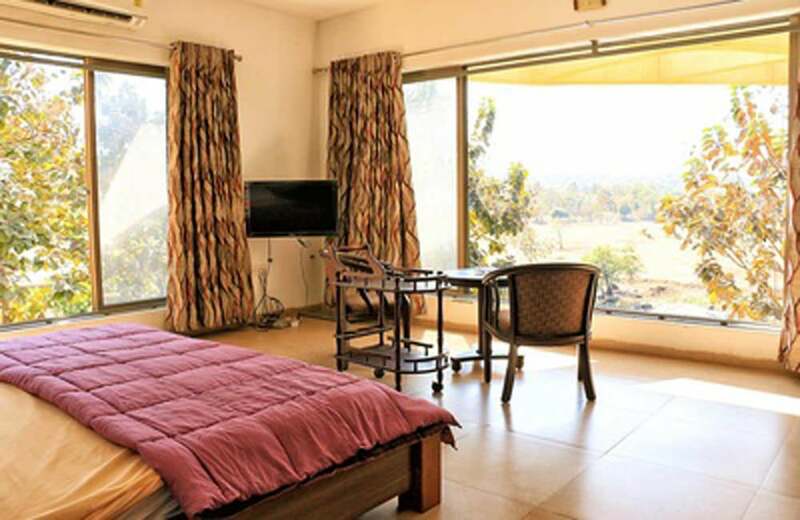 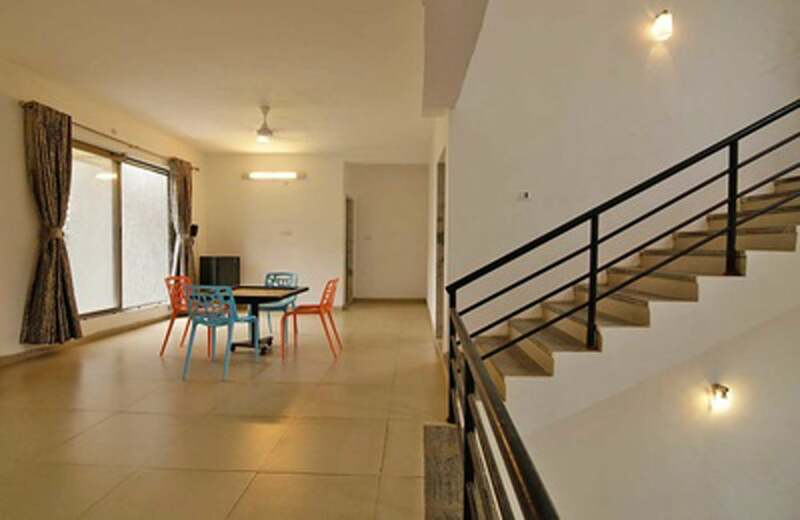 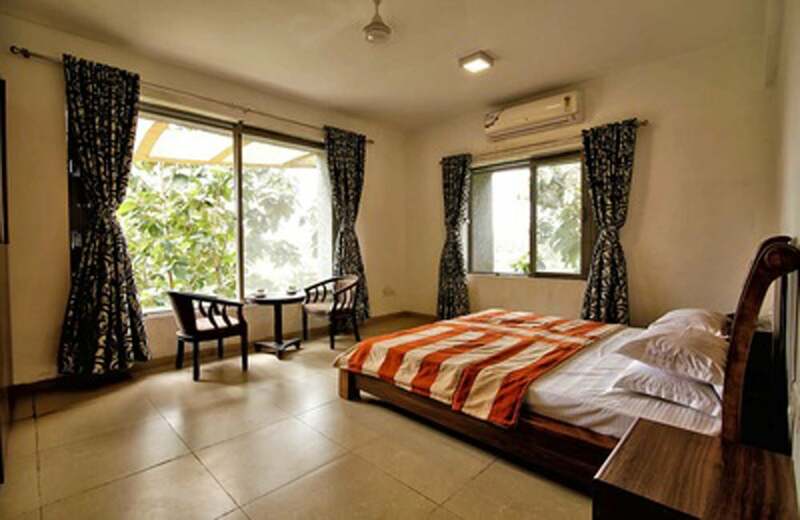 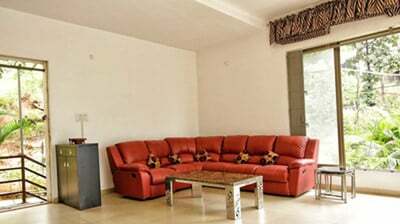 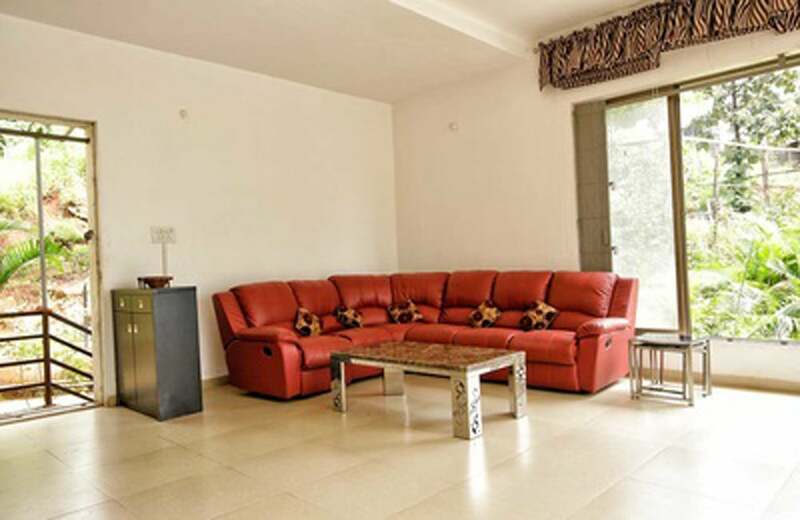 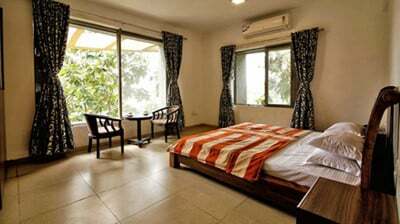 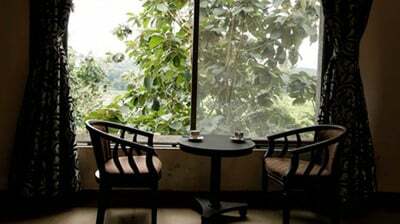 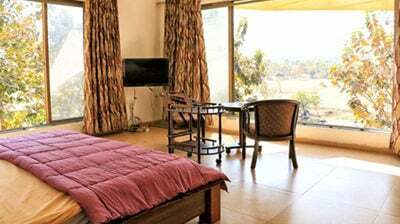 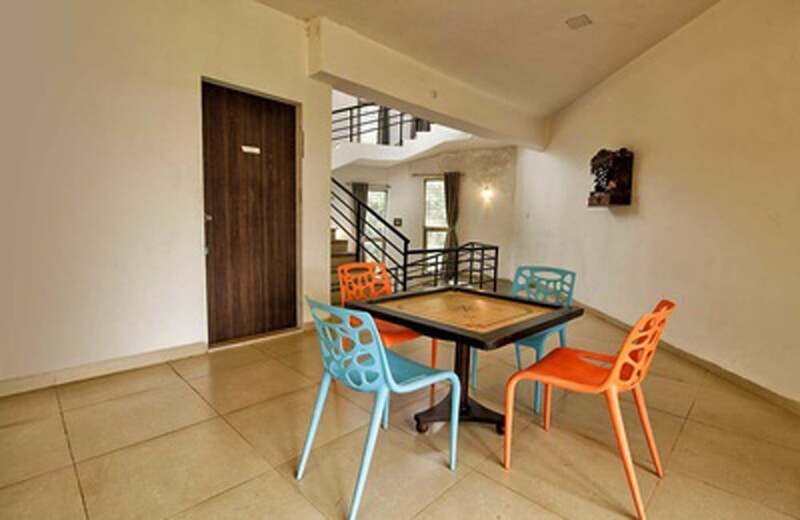 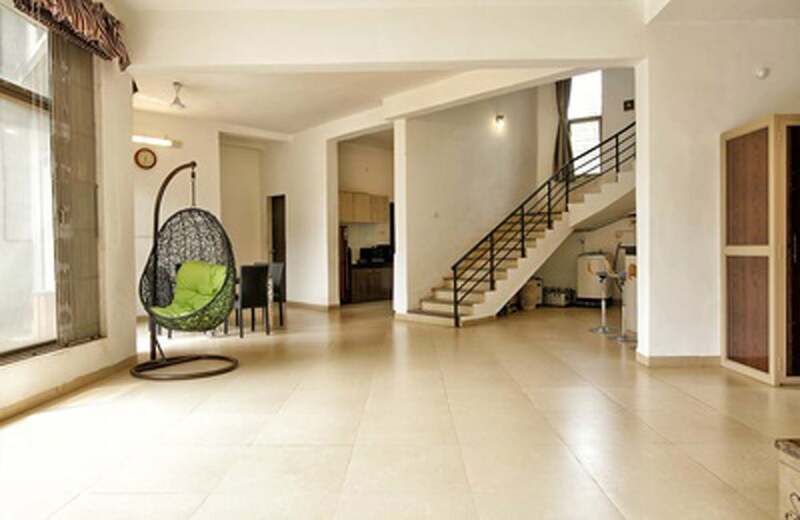 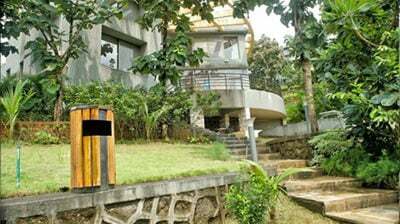 A luxury villa in Karjat near Tata power is Villa Magnum, a 4 bedroom property located on the banks of a river. 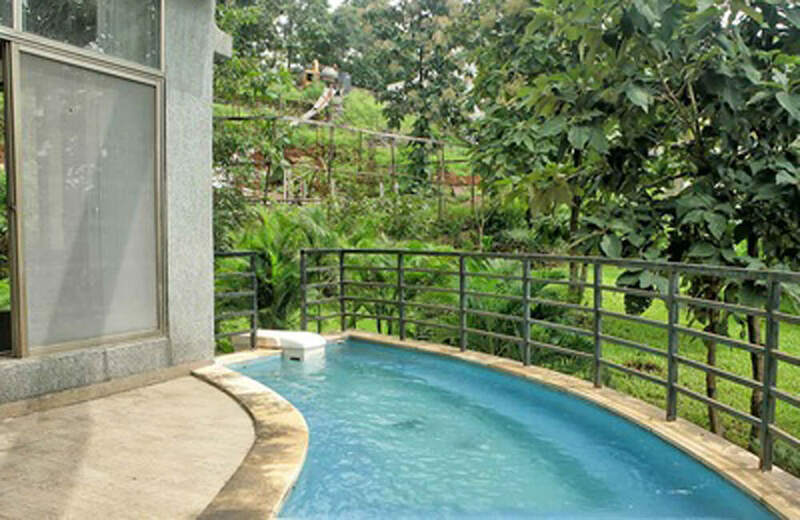 Standing high with a unique structure and known for its calm surroundings and refreshing nature, this villa is the most sought after vacation stay by most tourists. 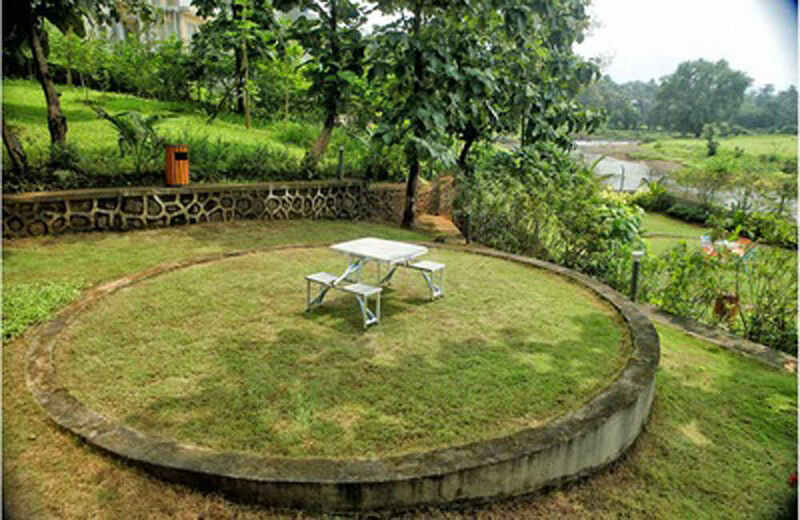 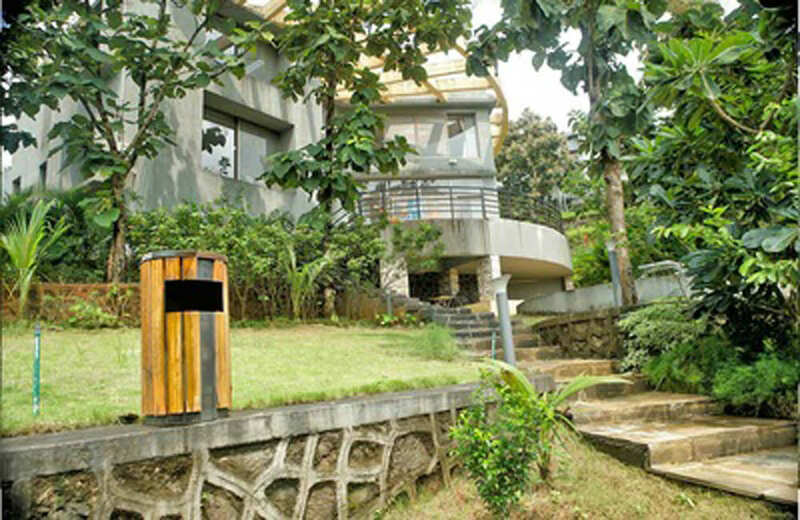 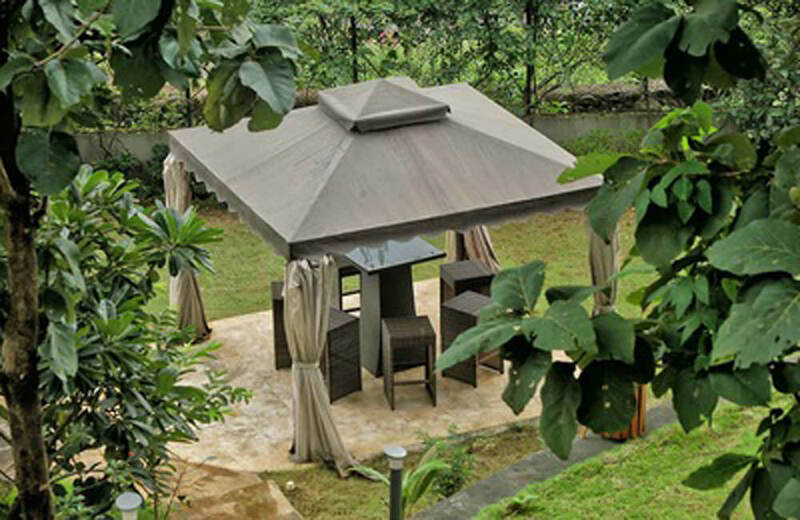 This private villa is a beautiful destination and is surrounded with greenery as far as the eyes can take you. 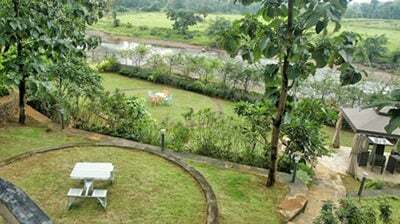 The lovely chirping of birds, the cold breeze coming from the chilling waters of the river and the moon overhead offers you a wonderful experience. 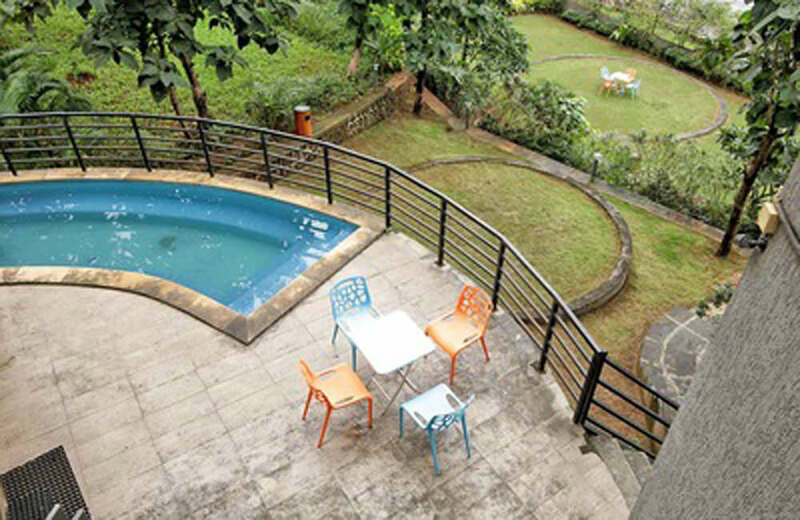 If you prefer taking a little turn away from the busy and hectic city life, Villa Magnum is the best choice. 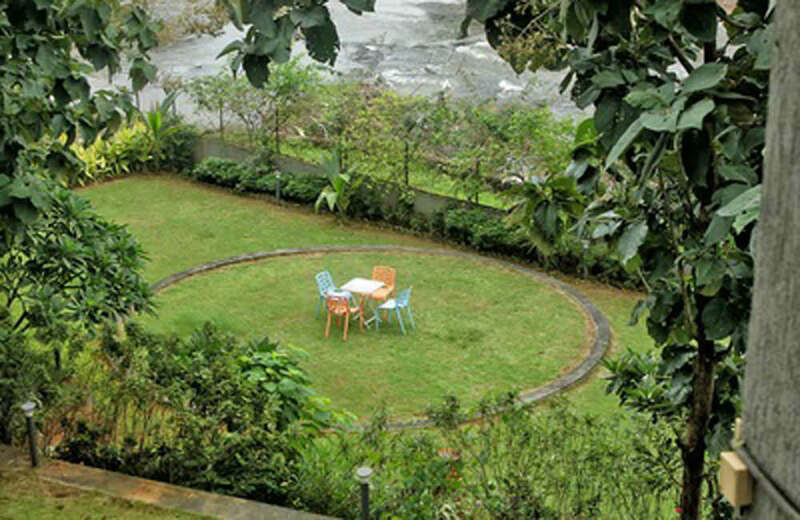 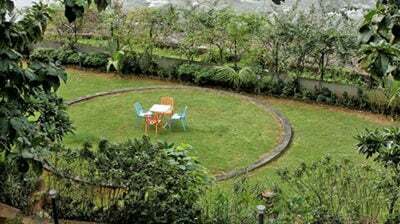 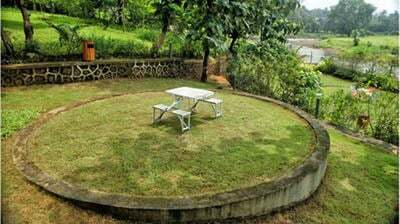 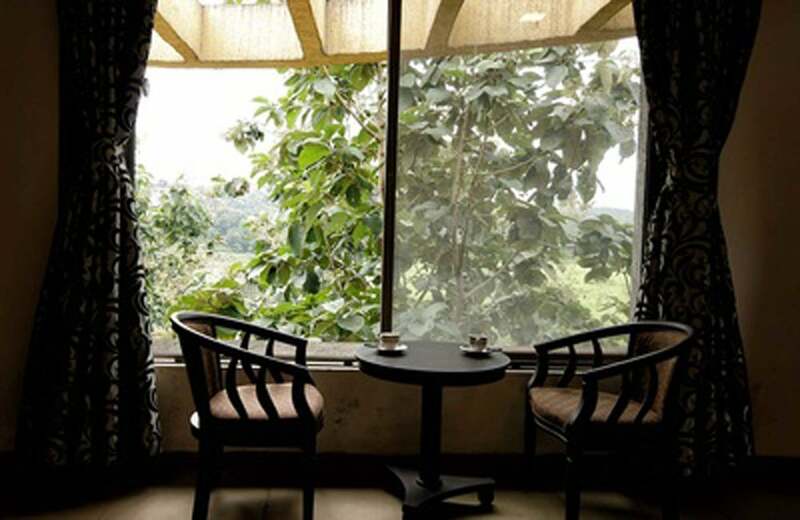 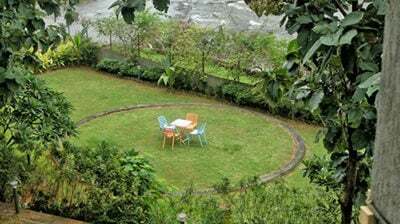 The well-manicured gardens designed to be in layers along with the garden chairs, is good to sip a cup of hot coffee in the evening with nature singing in to your ears. 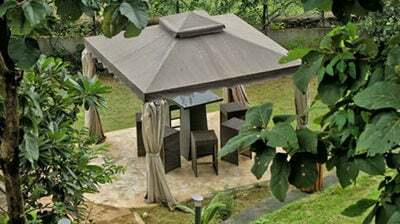 A cabana is also available in the garden for you to have fun in this wetland. 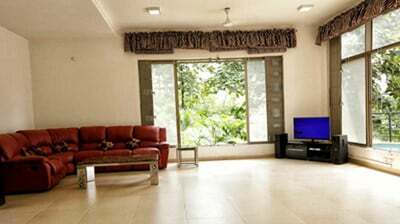 The living room of this independent villa is designed to have the room flooded with enough day light keeping you energized all day long. 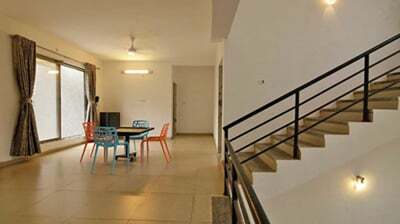 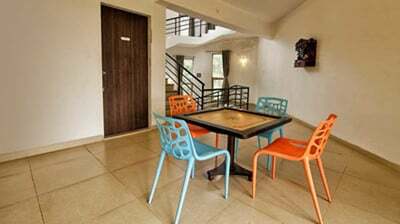 The dining room and kitchen are also designed with great care to provide you maximum comfort. 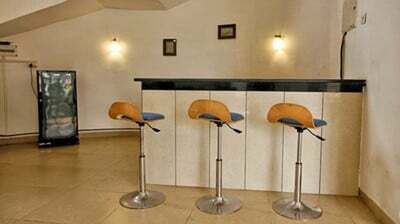 The kitchen is fully equipped were you can cook a variety of vegetarian dishes or hire a cook to do the same. 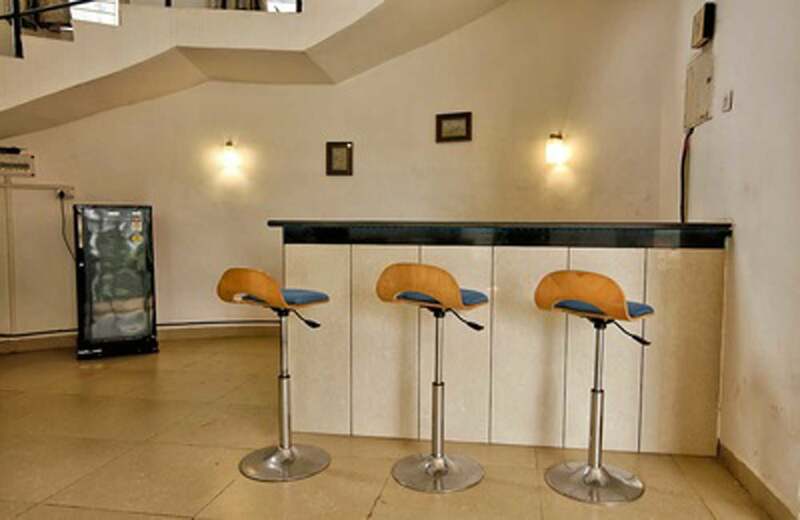 You are allowed to purchase non veg foods from outside and treat your taste buds. 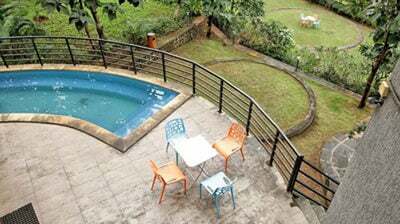 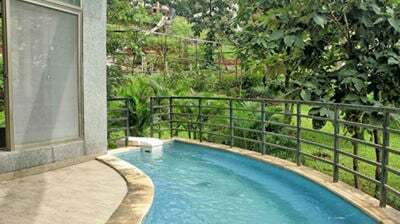 The private swimming pool overlooking the garden and the river is filled with clean water so you can take a dip in the afternoons with your family and friends. 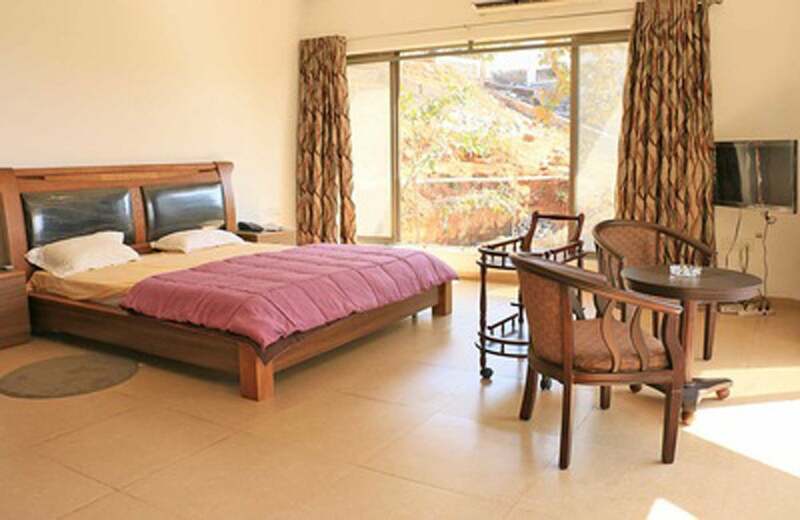 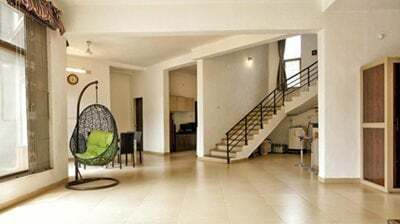 The 4 bedrooms in this luxury villa are spacious with bed, mattress, wardrobe and other furnishings. 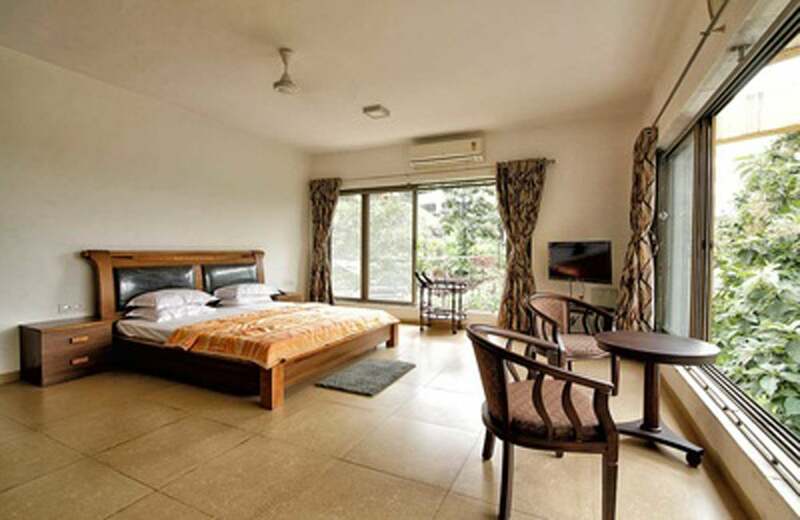 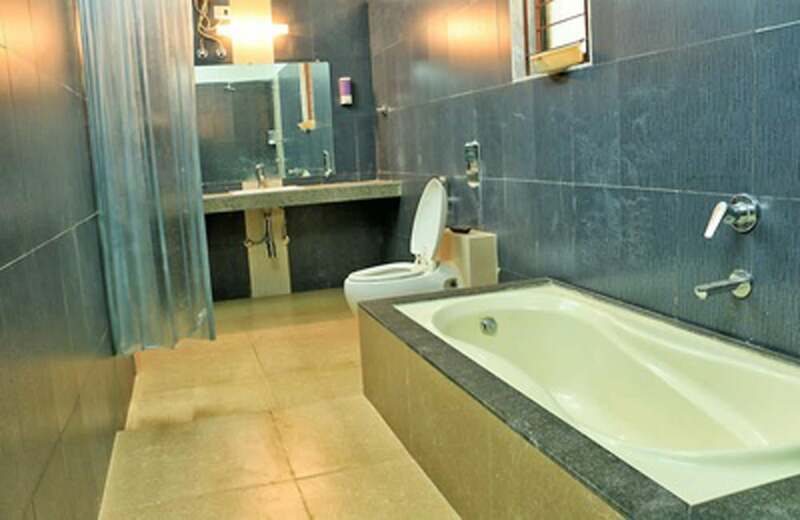 All the bedrooms come with en-suite bathrooms and the entire villa is located in a way that it overlooks the river. 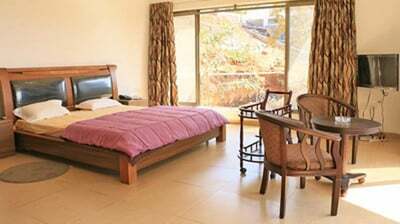 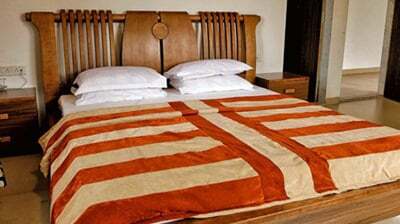 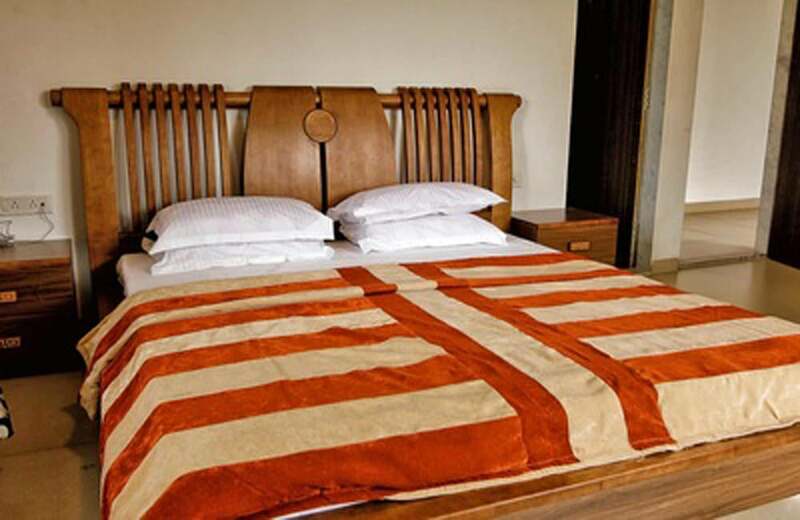 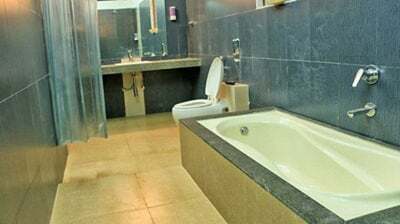 The luxury villa is taken good care by the caretaker and housekeeping is available for you at all times. 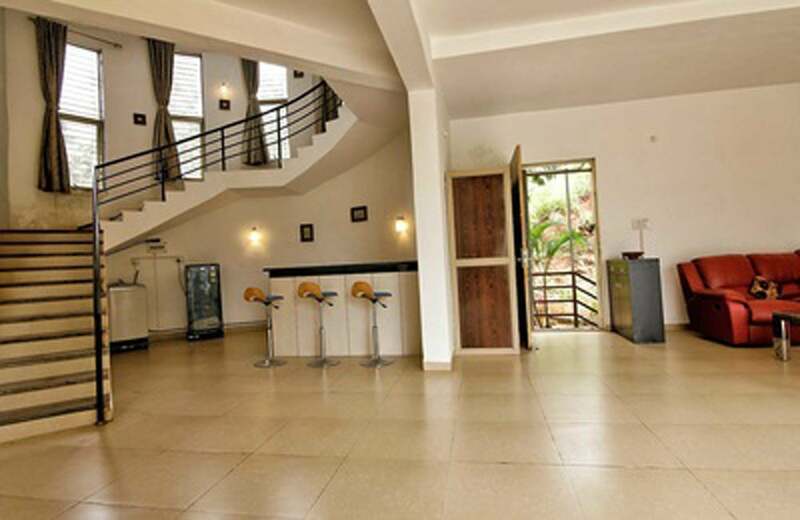 With 24/7 security and power backup, you are in safe hands while you are on a vacation with us.